0 Comment June 22, 2018 Like? 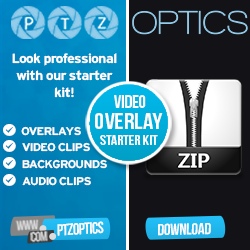 PTZOptics is proud to announce the release of two free IP based PTZ camera controls applications for both Mac and PC. These new camera control applications have gone through extensive beta testing in the PTZOptics Facebook User Group. The active community has contributed many feature requests that have built in to create the ideal camera operator experience. The applications now provide some of the most advanced pan, tilt and zoom functionality available on the market today. This application is also available as a plugin for OBS (Open Broadcaster Studio). New PC & Mac Pan Tilt Zoom Camera Control Software from PTZOptics here. Learn how to setup wireless PTZ camera controls here. How to access PTZ camera controls outside your network here. Using a iOS iphone or iPad app for PTZ camera control here. How to mask PTZ camera movement with easing transitions here. How to control PTZ camera movement speed here. MimoLive builds in PTZ camera support for PTZOptics cameras here. Tips for using the IR remote control for PTZ camera control here. How to use the IR remote control with multiple PTZ cameras here. How to use RS-232 and RS-485 camera control cabling here. Testing auto-tracking cameras in a live streaming show setting here. PTZ Camera control inside the NewTek Tricasters here. Using Multicast for PTZ Camera Control here.